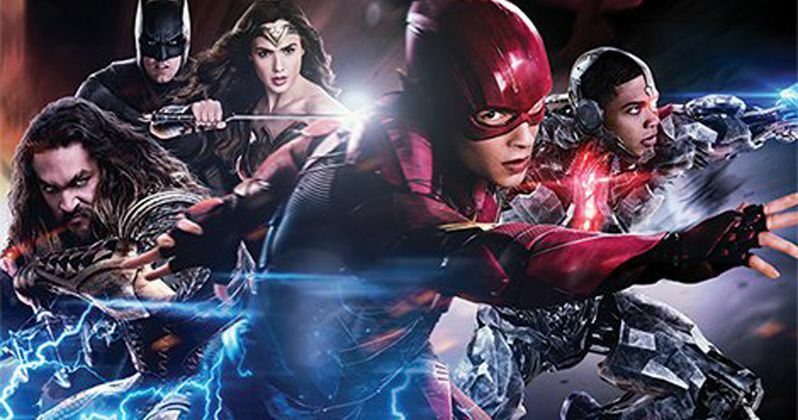 Justice League Post-Credit Scenes: What Do They Mean for the DCEU? Justice League is finally in theaters. Some DC fans have waited their entire lives to see this superhero team make their way to the big screen, and now the movie is out in the world. While many critics seem to be a little soft on the whole thing, it's a crowd-pleaser and seems to be making fans pretty happy. Some of the biggest crowd-pleasing moments come after the credits, as Justice League features two huge post-credit scenes that have major implications for the DCEU moving forward. Warning: major spoilers ahead for Justice League. The mid-credit scene for Justice League is most definitely the more light-hearted of the two, but it's no less important. Especially for die hard DC Comics fans. Superman was resurrected in the movie, as we all knew he would be, but the version of the Man of Steel we got is much more in line with what fans know and love from the comics. During the movie, he and The Flash demonstrated that they're both quite fast, to put it lightly. So, after Steppenwolf was defeated and the world was a little more stable, the two decided to have a little fun in the form of a foot race. Barry Allen and Superman both are seen in Kansas near Clark Kent's home side-by-side ready to settle it. Is The Flash faster than Superman? The two make a fun little bet; If Superman wins, Barry has to buy the Justice League brunch and, if The Flash wins, he gets to tell everyone about it. The two then take off and the race is on. This is a callback to what started back in Superman #199. The Flash and Superman have raced one another several times in the comics and putting this moment to screen was a very nice bit of comics-to-screen magic for fans. It's fun, which is something modern DC movies were missing up to this point. While the mid-credit scene was significant and fun, it's the post-credit scene in Justice League that has Earth-shattering implications for the future of the DCEU and is something that surely had every fanboy and fangirl shaking with excitement. If you've seen the scene in question, then you know that the Legion of Doom is indeed in the process of assembling in the current DC movie universe. The scene in question opens up with a guard heading to Lex Luthor's cell in Arkham Asylum. The guard calls out to the inmate and receives no answer, as he approaches, we see that this is not Lex Luthor but it is, in fact, a decoy. We then cut to a shot of a very fancy yacht with a speedboat approaching. Who's on that speedboat? None other than Slade Wilson, aka Deathstroke. Yes, despite the fact that Joe Manganiello's future as Deathstroke in The Batman is in doubt, his future in the DCEU isn't. This is the character's introduction into the DCEU and it's huge. As Deathstroke boards the yacht, we get an excellent look at the costume and if you can find a better looking, comics-accurate costume in a comic book movie, good for you. Deathstroke looks fantastic. Deathstroke, or "Mr. Wilson," is then offered champagne by Jesse Eisenberg's Lex Luthor. People were very unhappy with his representation in Batman V. Superman: Dawn of Justice, but rocking a fancy suit, bald head and a much less wacky demeanor, this version of Lex Luthor is much more in line with what DC fans expect from the character. Deathstroke inquires as to why Luthor has called upon him and it is in no small way thanks to Superman's return. With the formation of the Justice League, Luthor proposes to Deathstroke that they have "a League of their own." While it isn't clear when the villain team will show up in the DCEU, or who else is going to join their ranks, it's inescapably clear that the Legion of Doom is forming. That's massive and could have major implications moving forward. Joe Manganiello sort of spilled the beans a little while back when he was spotted wearing a Legion of Doom shirt with Justice League lettering, which caused many to speculate the DC villain team was going to appear in the movie. That speculation turned out to be correct. Could this be the set up for Justice League 2? Will the Legion of Doom be like Thanos for the MCU, coming together over the course of several movies with teases and breadcrumbs all leading to the eventual appearance in an event movie? Could the Deathstroke movie help set this up further? Or are we going to see the Legion of Doom in something like Man of Steel 2? Warner Bros. has a lot to consider moving forward, but they've just set up something that could pay off in a big, epic way down the line. This scene alone makes Justice League totally worth it.